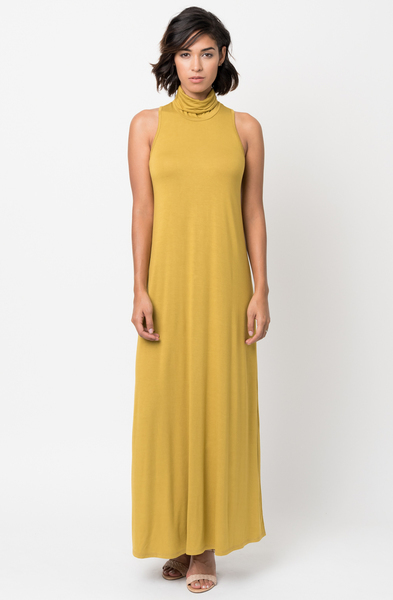 Sleeveless turtleneck maxi dress in vintage-inspired look from Caralase. Made in a soft + stretchy jersey knit, cut in a flattering, drapey silhouette. Finished with a turtleneck collar.